Members enjoyed a fascinating and very informative talk and demonstration from Kate Lynch on Wednesday evening. Kate, who works in oils, pastels and willow charcoal, is well known for her documentary drawings and paintings of traditional rural trades and crafts. 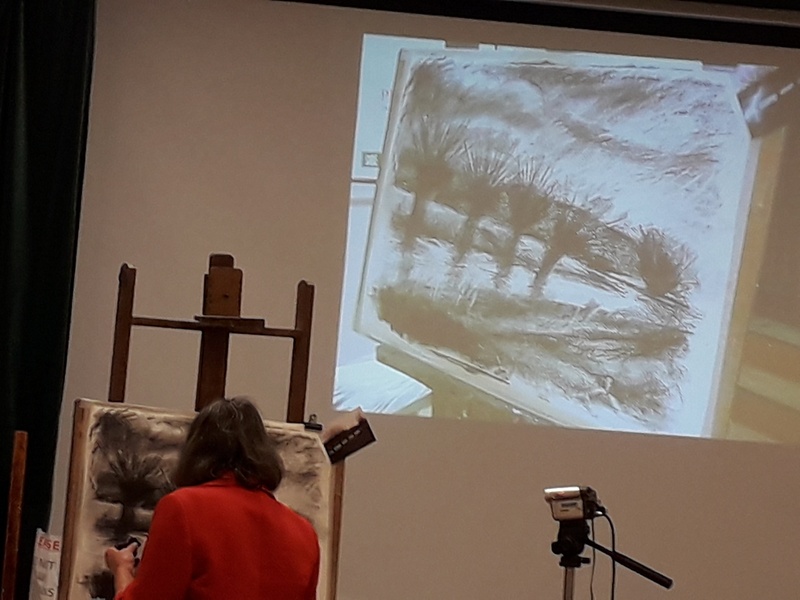 For this demonstration she featured the use of willow charcoal to create evocative and expressive works of art. Kate has received awards for her work from the many associations and her paintings are in several public collections. She has published books on willow growers and basket makers on the Somerset Levels; shepherds and other people working with wool, and Somerset beekeepers, these are available via her website (www.katelynch.co.uk), ACE Arts and local bookshops.